Fermentation of your mead finished a while ago, it has fully cleared and sat aging in your carboy. Now what? Carrying around a gallon glass jug is not a great way to share your creation, so it’s time to bottle. First step, deciding on the type of bottle you wish to use. There’s a few things you need to consider when choosing: level of carbonation, and strength of alcohol in your drink. Not all bottles are designed to withstand the increased pressure of a carbonated beverage, so if you opted to carbonate yours, you’ll be more limited in which ones are available to you. 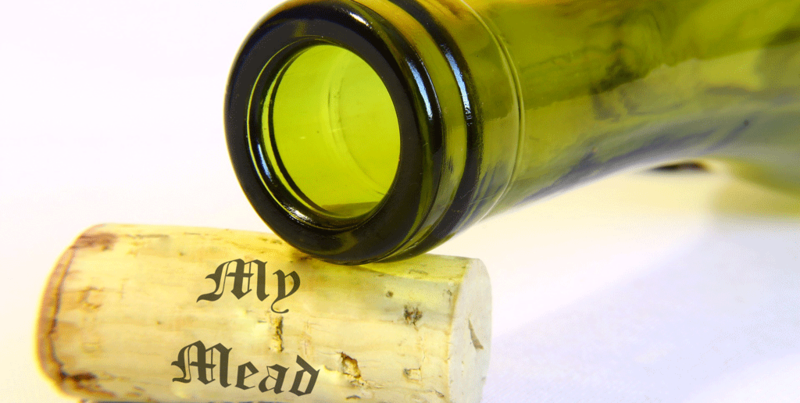 Beer bottles and champagne bottles are your main options for a sparkling mead. These use a thicker glass that can withstand the pressure, as well as a more gradually angled neck that moves pressure towards the opening so any excess would pop the top instead of blowing the glass outwards. Normal wine bottles are made of thinner glass, and the shape doesn’t do enough to angle the pressure upwards. This is how bottle bombs occur. If there’s a buildup of pressure and it can’t escape up the neck, it will find it’s own way out. The alcohol content of your drinks should also inform how you wish to serve it. Beer bottles tend to be a single serving size of the beverage. But beer is also generally a lower ABV drink than most wines. When someone grabs a beer bottle, they’re probably not expecting to get hit with an 18% drink in such quantity. That beer bottle could hold nearly 3 servings of wine. So, choose carefully when deciding upon which containers you will be portioning out your creation in. If it isn’t meant to be sessionable, choose something that is socially recognized as something we should pour into smaller portions. Alright, we’ve chosen our container. Now we have to get the liquid into them. 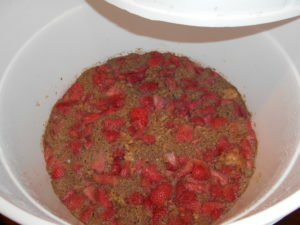 We’ve previously discussed how to transfer the brew from one large container into another. The racking cane will work in this instance as well. Except for one issue. The cane relies on a siphon and gravity to create a continuous flow. This is great when the tube’s exit stays in the same container. But trying to pull that tube out of a bottle mid flow, while also managing not to overfill, would just cause a mess. Luckily, there is a bottle filler attachment that can be used in conjunction with the racking cane and tube. These attach to the exit end of the tubing, and usually have a spring loaded nozzle. This nozzle blocks any liquid from passing through unless you are pushing it against the bottom of a bottle. This lets you control the rate at which your mead is flowing out, while maintaining the siphon in the cane. You can now easily switch bottles without making a mess. NOTE: Do be careful if you happen to set your filler down inside of a bottle. Even if you’re not manually pushing it down, it’s own weight can be enough to let a small amount of liquid flow out. I’ve stepped away in the middle of bottling once or twice and walked back to a small overflow from the bottle. Your bottles are now all full, it’s time to close them up. If you’re using flip-top bottles, this part is easy, but for the beer, wine, and champagne bottles will require some equipment. For beer bottles, you’ll be wanting to use crown caps and a capper. Many beer homebrewers will already have one of these handy. The cappers hook around the neck of the bottle allowing it to center the cap on top of the bottle. Pressing down the lever will fold the sides of the cap down around the lip, sealing your brew inside. For wine bottles, you’ll be wanting corks and a corker. There’s several types of models for these. I have a Gilda single lever hand corker that works quite well. There’s some fancier floor models that are more stable and require less force, but they all function quite similarly. Corks, you’ll need to get wet first. I put them in a small pot with some water, and cover them while it boils. This steams them up so they absorb moisture and become softer. You then place these moistened corks into the corker. The corkers all have a method to squeeze the cork from the sides, making it temporarily a smaller diameter – just small enough to fit inside the inside of the bottle opening. They then push from the top until the cork is fully within the neck of the bottle. The corks is no longer under pressure from the device, so starts to expand, plugging the hole and getting a snug fit. Storing the bottles on their side will keep the cork wet and plump, keeping it from drying out and getting crumbly and allowing too much oxygen in. Now you’re free to attach whatever labels you might like and really amp up the presentation.